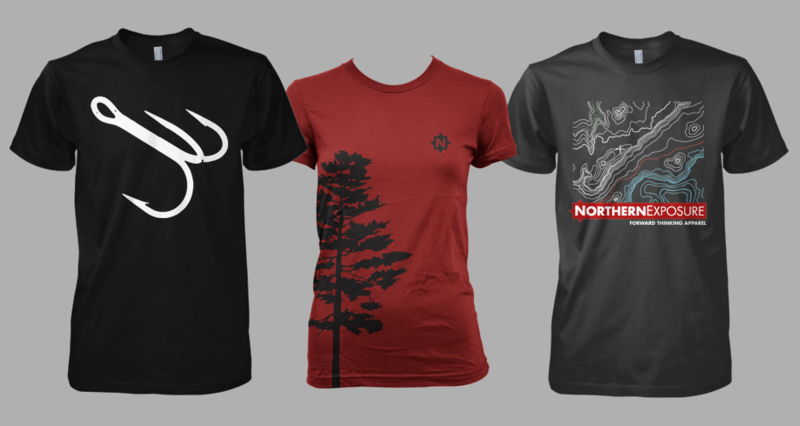 Northern Exposure Apparel came to Envy Creative in its infancy. Owners Joe and Kate Piraino had a few rough sketches of designs and a distinct vision for their lifestyle brand. 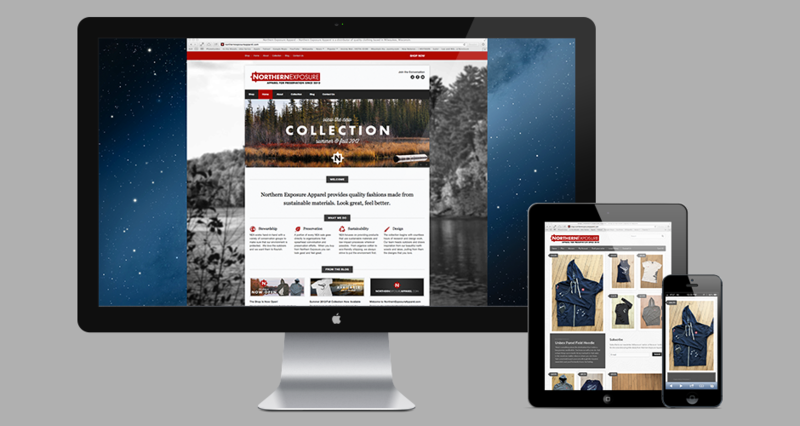 NEA positions itself as an apparel brand with a conscience – giving back to the beautiful environment of the Wisconsin Northwoods that the owners draw so much inspiration from. Envy Creative was asked define NEA’s identity and refine their message across different mediums. Joe and Kate were looking for the full package: identity, web, and print. And Envy Creative was excited to jump in and get started right away. 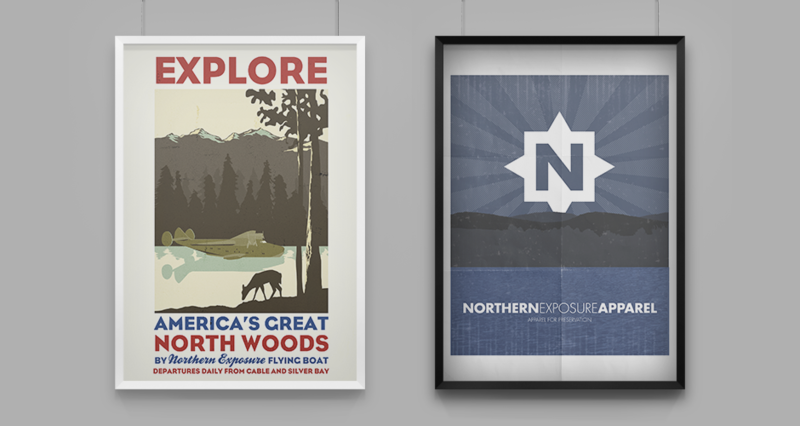 The first step to creating the Northern Exposure Apparel brand was to create a logo and wordmark that encapsulated the outdoor aesthetic without being generic. Creative Director Nick Votto had to design not only a memorable logo, but also had to keep in mind how the logo would be used. This would appear on catalog covers as well as small tags affixed to the clothing, so it had to be scalable. Envy Creative delivered a solid identity that stressed the company’s connection and dedication to the environment without getting them lost amongst their competitors. 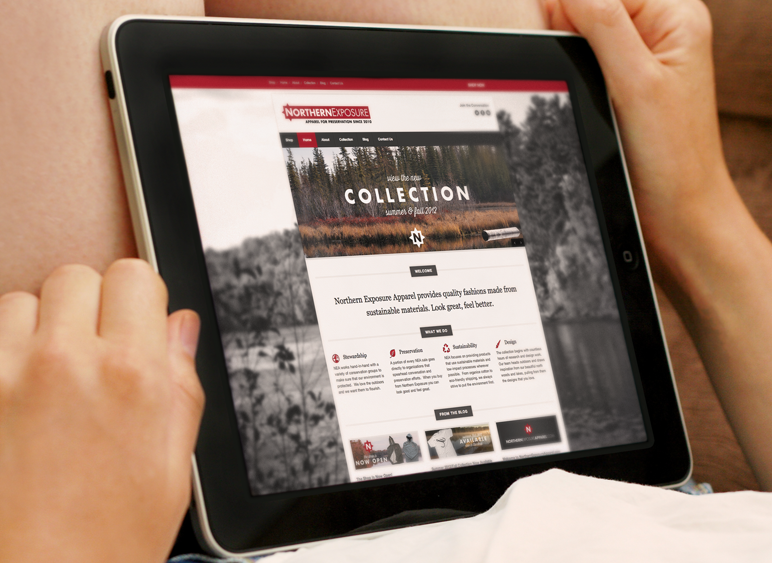 With Northern Exposure Apparel, the team at Envy Creative was able to manage this creative-heavy project from conception to launch and beyond. Joe and Kate came to Envy with passion and ideas, and they now have a fully realized brand that communicates all the vital elements of their business. 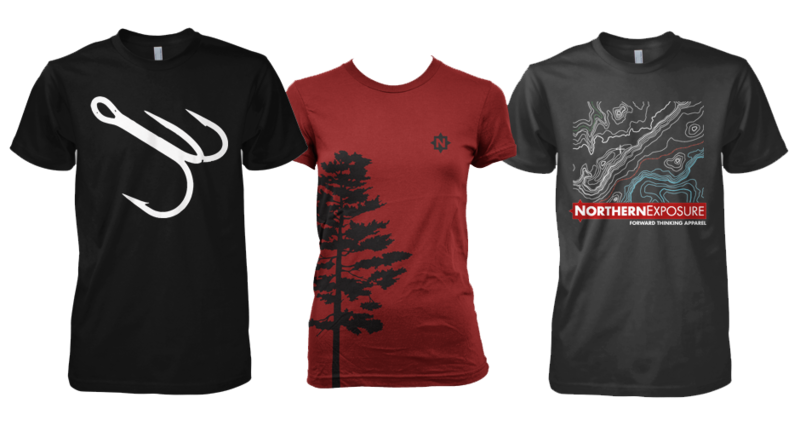 Northern Exposure Apparel continues to sell their apparel online and in various retail outlets while making sure a portion of the proceeds go to preserve lakes and forests in Wisconsin.